It is that time of year to celebrate our favorite spring vegetable Asparagus. The 2013 addition of the 'Stockton Asparagus Festival' will be held today and tomorrow in downtown Stockton, California. 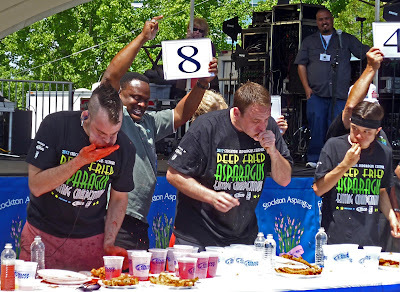 Today at noon, 'Joey Jaw's Chestnut will defend his title of 'World Champion Deep Fried Asparagus Eater". There will be numerous food booths to eat and enjoy the spears of spring. We hope to see you there! 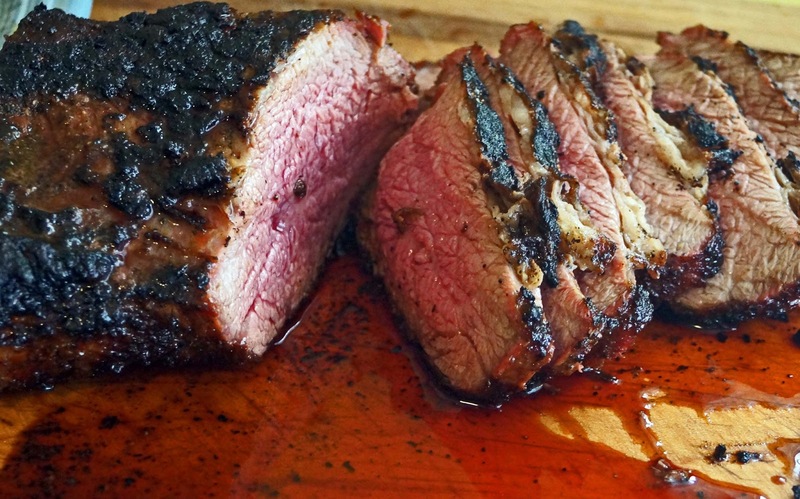 You may ask what does that juicy, smoky, tri-tip have to do with asparagus? Barbequed tri-tip is the perfect accompaniment for a plate of asparagus.Amen! Oh, that gacky man again! Your Tri-tip looks superb; such a color and all that leakage. Big Dude, Give us a jingle if you come out this way. We will show the bbq rounds. I love Asparagus! Three Dogs BBQ, It is battered. I have been eating asparagus almost every day for the last several weeks. I still love it. cookiecrumb, I know it is not your favorite sport but Ms. Goofy is almost a Joey Chestnut groupie. We actually let it rest for 14 excruciating minutes. I just got the news that Joey was upset by Matt 'Megatoad' Stonie for a total of 9 pounds of deep fried asparagus. Greg, I am going to eat 10 pounds of asparagus. I will show them. Get me some deep fried asparagus while you're there!